Central Pacific Railroad Land Maps, 1924, and detail c. 1898, Composite. 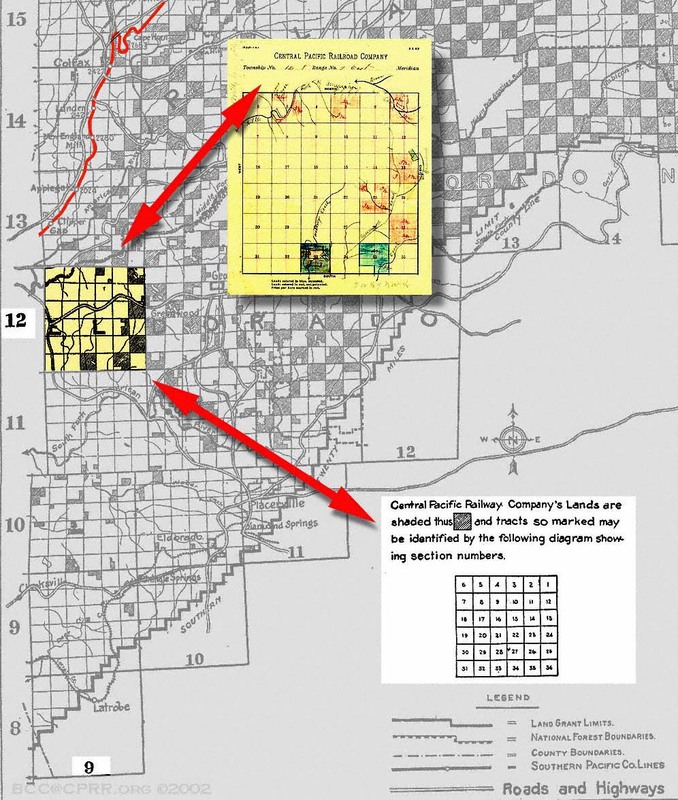 Land Grants in a Checkerboard Pattern (shaded portions are railroad land in the Sierra Nevada Mountains of California and in Nevada). Click to see yellow detail map c. 1898 or grey 1924 survey overview map.